The year is 1991, and Spud Milton's long walk to manhood is still creeping along at an unnervingly slow pace. Approaching the ripe old age of fifteen and still no signs of the much anticipated ball-drop, Spud is coming to terms with the fact that he may well be a freak of nature. With a mother hell-bent on emigrating, a father making a killing out of selling homemade moonshine, and a demented grandmother called Wombat, the new year seems to offer little except extreme embarrassment and more mortifying Milton madness. 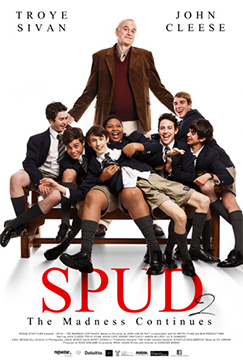 But Spud is returning to a boarding school where he is no longer the youngest or the smallest.